Nature is so beautiful.. when you can create and send a hand-crafted card that sends a little bit of nature from one home to another (and no allergies!). With stunning papers, inks, colors and perfect coordination, you can create a hand-stamped card that delivers a little bit of Fall in the mail! I love the World of Dreams silhouette rubber stamp set. It has a stunning collection of stamp images. Stamping these images on the Cajun Craze card stock with the Soft Suede ink pad. This gives a perfectly coordinated color and image look that embodies Fall. I love how easy this card is and it looks amazing. 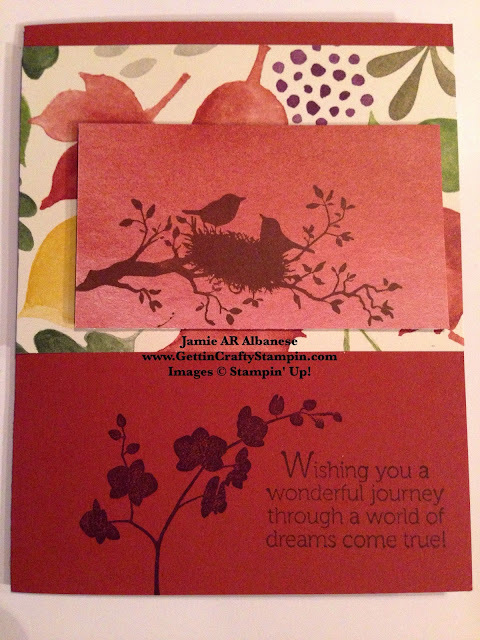 Stampin' Dimensionals give your project depth and interest while holding the hand-stamped papers together. 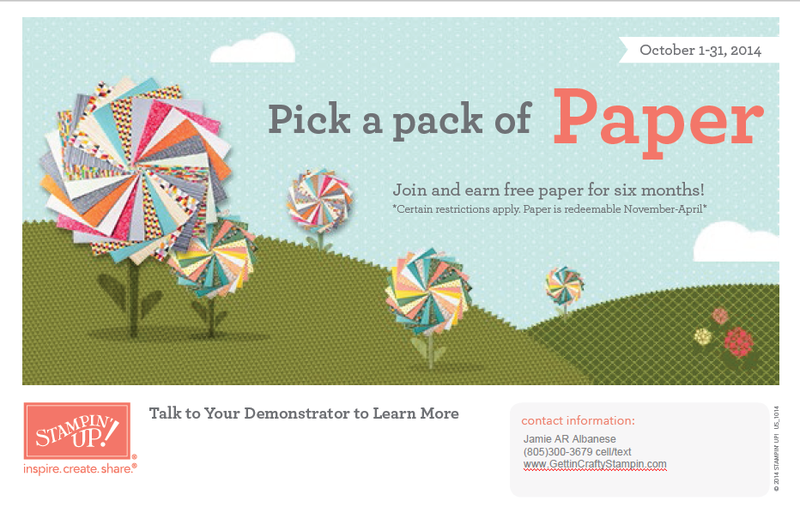 The two patterns from the Color Me Autumn *Designer Series Paper are coordinated to match really wow. 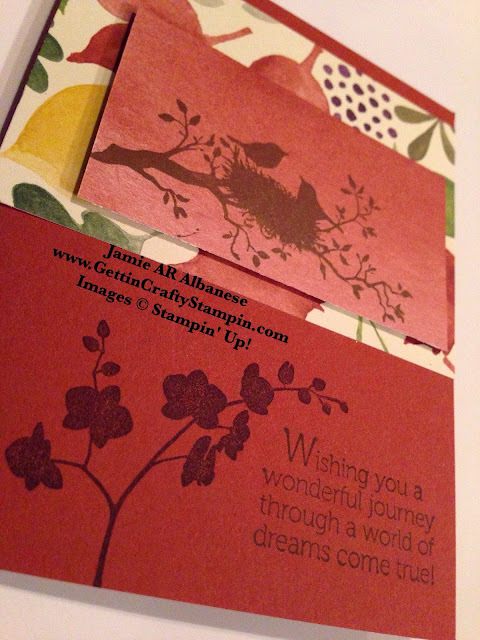 Tool Tip Tuesday: Did YOU know that stamping on our Designer Series Paper?? This paper is STUNNING and looks Amazing with the coordinating inks. I love heat embossing, stamping, embossing, die-cutting and more with our *Designer Series Papers! So go ahead, use it for layering as well as stamping for your paper crafting projects. Send nature to your loved ones with this hand-crafted card that is easy to mail. Using pretty papers like our *Designer Series Paper and amazing rubber stamps to send some nature in the mail to your loved ones. We don't have a 'Fall' here in Southern California but I can create a little bit of Fall with a hand-crafted card. I hope this warms your day.